Dragonchip was founded by former executives of Motorola, Inc., who managed and operated in Hong Kong, Taiwan, South Korea & Japan. The founding team brought to the Company tremendous working experience in all of the critical fields in which Dragonchip now operates. With a client list that reads like a who's/who of the worlds major electronic manufacturing organizations, the Dragonchip team boasts an extensive business network that reaches key industry players throughout Asia in the areas of fabrication, packaging and testing. Fred is currently the Chief Executive Officer of Dragonchip Limited. He is one of the co-founders of Dragonchip Limited. Prior to joining Dragonchip, Fred was with Motorola for about 10 years and his last assignment in Motorola was Marketing Manager. 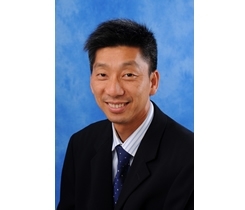 Before that, Fred worked for IBM HK/China.Fred graduated from Hong Kong City University in 1990 with a bachelor's degree in Electronics Engineering.